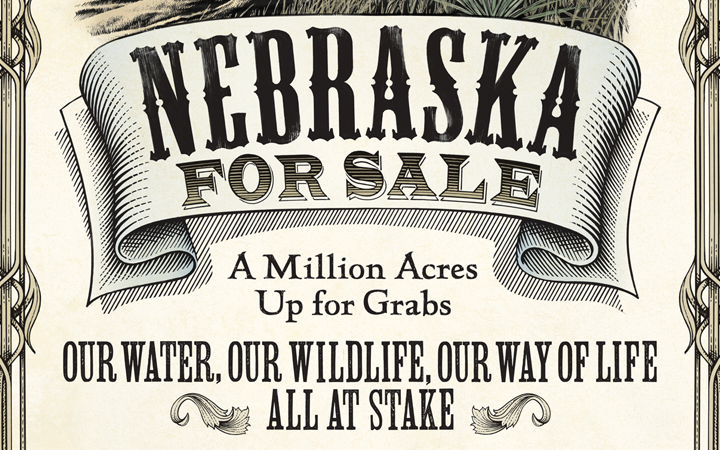 A fundraising brochure and poster to protect Nebraska’s prairies, wetlands and rivers. Inspiring Nebraskans to get involved in conservation. The Nature Conservancy’s mission is to preserve plants, animals, and natural communities that represent the diversity of life on Earth by protecting the lands and waters they need to survive. They work in partnership with the state’s farmers and ranchers to promote good stewardship and are constantly pursuing ways to restore and protect grasslands and rivers — the still wild places that define our state’s natural heritage and enrich all of our lives. 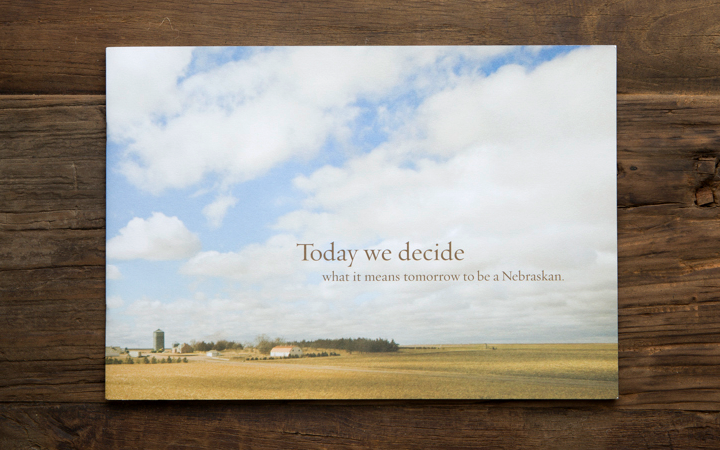 The Nebraska chapter of the Nature Conservancy needed a brochure to educate potential donors about their work and why it is important for every Nebraskan to get involved. 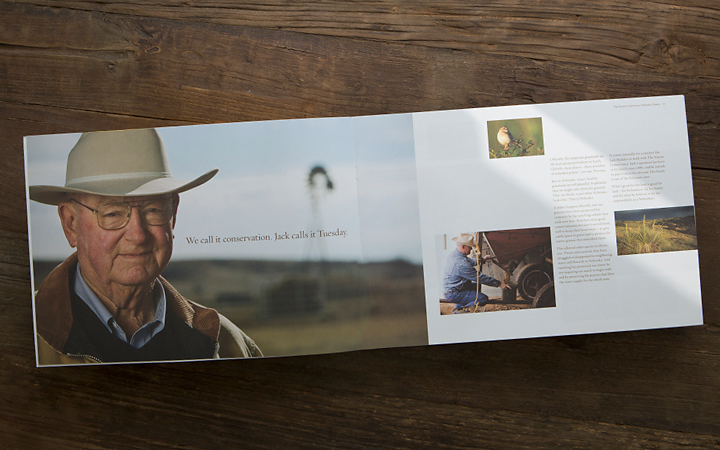 They were the beginning stages of a capital campaign and also needed an invitation to their big fundraising event. Nebraska is an expansive state with big sky and rolling plains. 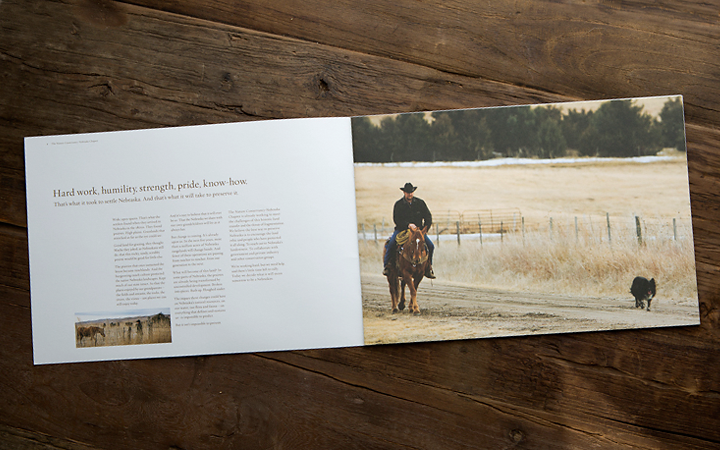 We started with a photo shoot that emphasized that open space. The stunning images also helped tell The Nature Conservancy story by creating a compelling picture of the huge environmental land challenges which we will be facing in the near future. The copy completed the picture by filling in key facts that conveyed a sense of urgency while remaining relatable. 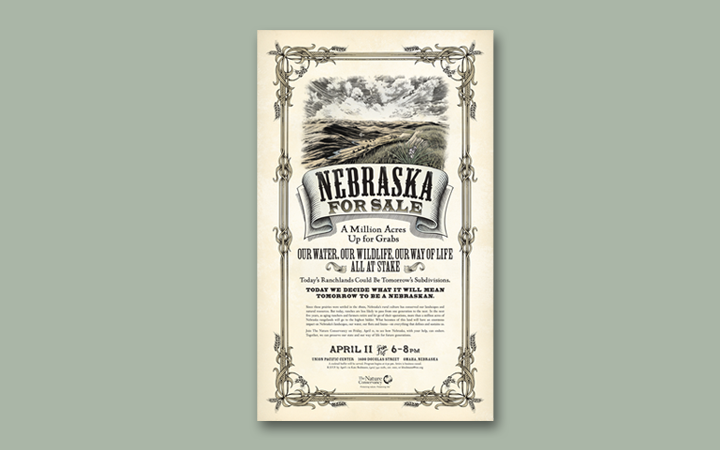 Next, we kicked off the Nebraska chapter’s capital campaign by creating a poster invitation that no one could ignore. 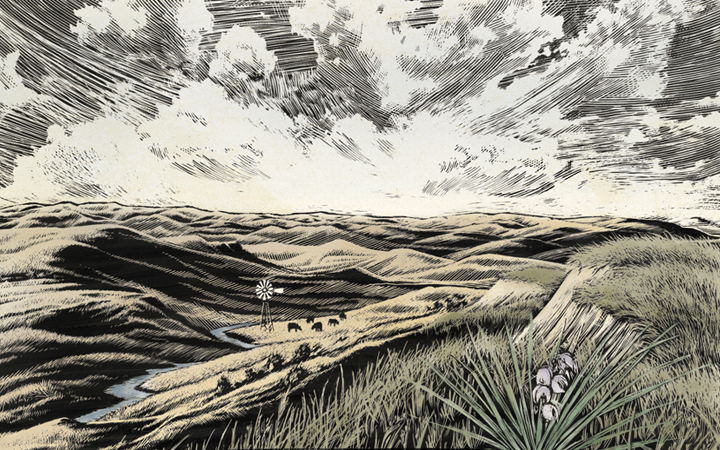 The design drew a comparison between Nebraska’s current land crisis and the land grab that took place in the 19th century following the historic Homestead Act. Advertisements from the period were used as inspiration. Beautiful illustration by artist Kent Barton engaged the audience while offering a historical perspective. This poster became more then an invitation, but a keepsake with a higher purpose.